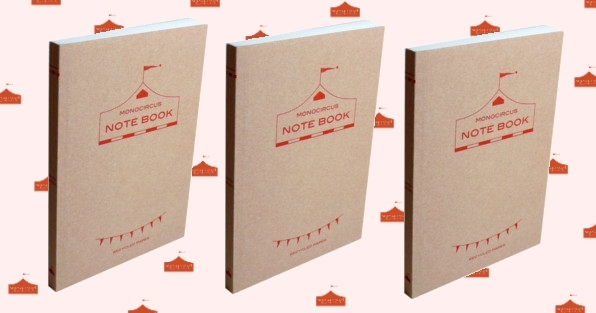 monocircus' NOTE BOOK is a new item we created for the creative person in you! to easily jot down your thoughts, ideas and memos even while you are on the move. it may get crumply, wrinkly or dirty along the way but it is going to be a book of treasured memories in years to come. this item comes in a set of three notebooks with blank pages so you can create a whole series of journals and put them nicely on your book shelf. I have one in my bag all the time and it is slowly getting filled with stuff I see, think and needed to remember.